Singaporean traditional cuisine reflects a truly multinational face. It is in its essence a totally unique mélange of the best culinary traditions worldwide, brought by representatives of the different ethnic groups on the island. A rich assortment of exceptional flavors and aromas makes Singaporean cuisine an untitled gastronomic treasure of Asia. Thus, if for no other reason, it is worth visiting the city for its excellent food. 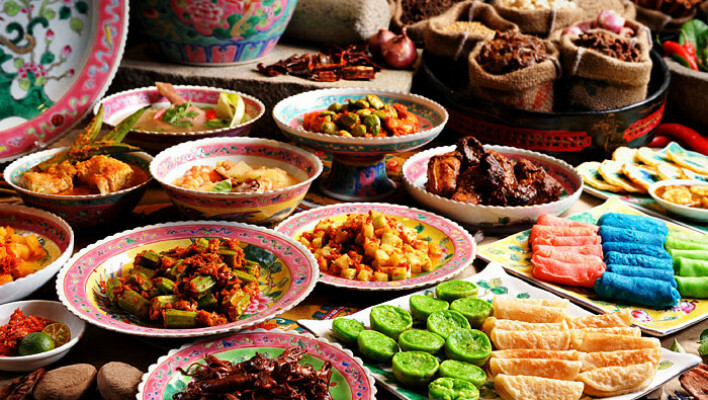 Chinese, Indian and Malay cuisines are the traditional main players in the country’s culinary arena. This original gastronomic mixture forms a classical everyday diet of the Singaporeans, containing the basic ingredients of rice, vegetables, seafood, herbs, spices and spicy sauces. Local traditional dishes take their specific flavor from the widely-used coconut milk, as well as shrimp and peanut butters. Thanks to such variety of ingredients and cooking methods, Singapore ranks second (after Japan) on Forbes' influential healthy food list. In spite of the fact that almost all items on the local menu are from different cuisines, some of them have since assimilated and become Singapore’s specialties. 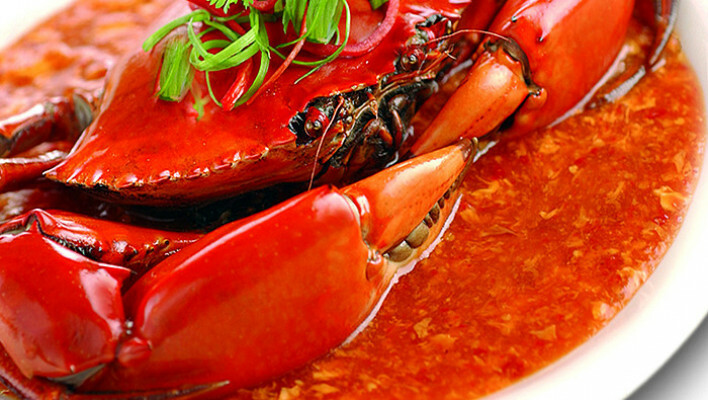 Chilli Crab is one of the most famous from Singapore’s signature dishes. This is a crab cooked in amazingly delicious, savory red chili sauce. It is usually served with toasted buns to scoop up the thick liquid it is coated with. 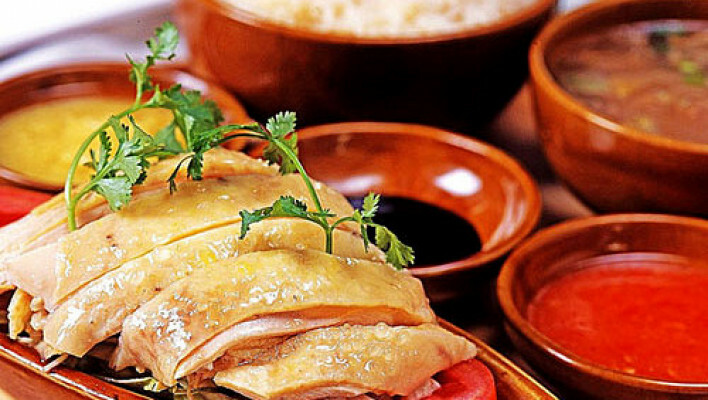 Other popular dishes of the Chinese origin are Hainanese Chicken Rice and Dim Sum (steamed or fried dumplings stuffed with either meat, prawns, sauces and herbs). 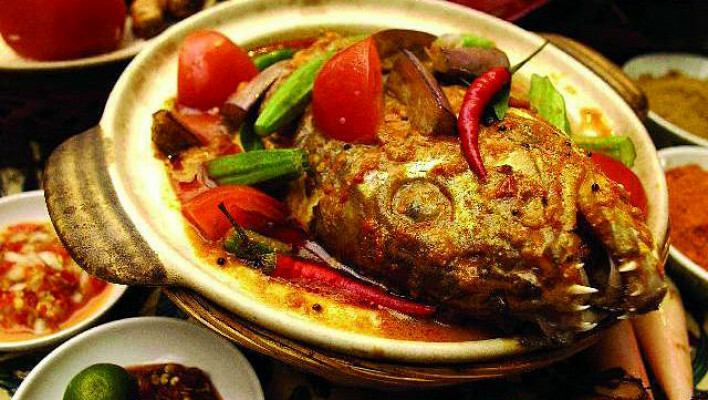 Fish Head Curry and popular Roti Prata pancakes, which are usually served for breakfast, arrived into Singaporean cuisine from India. The best way to eat Roti Prata is by submerging it in the sauce or filling it with different kinds of stuffing. 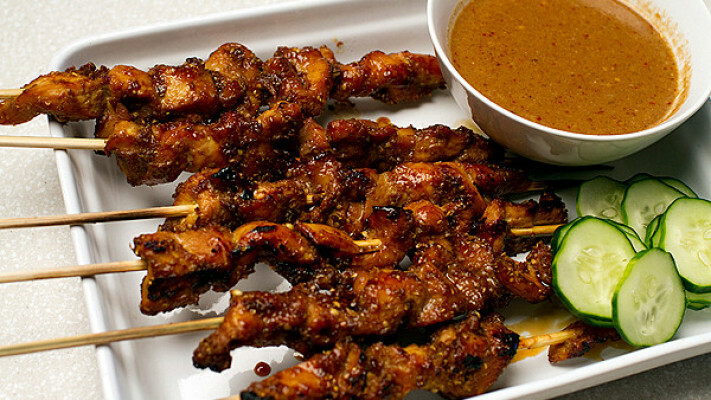 Tender grilled meat (chicken, beef or pork) on skewers constitutes the Malay part of Singapore cuisine. The meat is marinated in a special sauce, which adds inimitable taste and juiciness to the dish. Some other Singaporean dishes have Malay heritage too: Malay rice, Nasi Lemak, is boiled in coconut milk and served as side dish to meat or fish, while the spicy soup Laksa, cooked in coconut broth with noodles, complements seafood or meat. 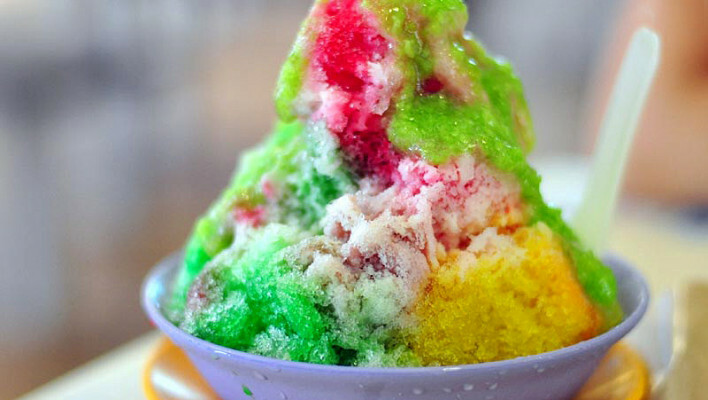 Singapore's most popular dessert – Ice Kachang, is a mound of crushed ice with different flavors, topped with either condensed milk or syrup. These, as well as many other Asian dishes, are served in over 500 Singaporean restaurants. In order to taste authentic dishes, it is better to visit specialized restaurants in the downtown ethnic districts such as China Town, Little India or the Arabian Quarter. Fresh seafood delicacies are served in the East Coast Seafood Centre; a restaurant chain located on the seashore. However, besides the more expensive restaurants, there are plenty of other opportunities to find a tasty meal in Singapore. Food courts are particularly popular – complexes that connect a number of small cafes, snack bars with movable trays with food under one roof – offer both appetizing and high quality dishes at affordable prices. It is worth noting that whatever public catering facility you choose for a dinner or a snack, you can be sure of its safety and hygiene: unlike in other Asian countries, compliance with sanitary regulations is strictly controlled in Singapore. If guests are feeling unadventurous and reluctant to taste the culinary exotics of the island, they can dine in some more customary French restaurants, Italian pizzerias and Japanese sushi-bars. The most popular drink in Singapore is tea, a drinking tradition owing to its colonial past. The most widespread teas are pure green tea, green tea with cloves, ginger tea with milk and lemon tea. Fruit smoothies, which are made of passion fruit, papaya, guava, mangosteen and other tropical fruits, are among the more popular soft drinks. As for alcoholic beverages, a variety of cocktails based on gin are generally offered in Singapore. The most famous of them is the Singapore Sling – considered to be true historical relic and national treasure (and exported around the world). It is a worthwhile experience not only to see the diversity of Singapore, but also to taste it. Like nothing else on the earth, and woven from hundreds of flavors, it leaves a mark on the memory to rival the memories from the fantastic architecture, luxurious parks and velvet beaches.